First the pressure increases, then your performance. Muscle activity creates initially unnoticeable high-frequency vibrations. When the muscles get tired, however, the frequency of the oscillations becomes slower, and the vibrations become perceptible. The muscles have no power and the performance decreases. This has to be prevented. 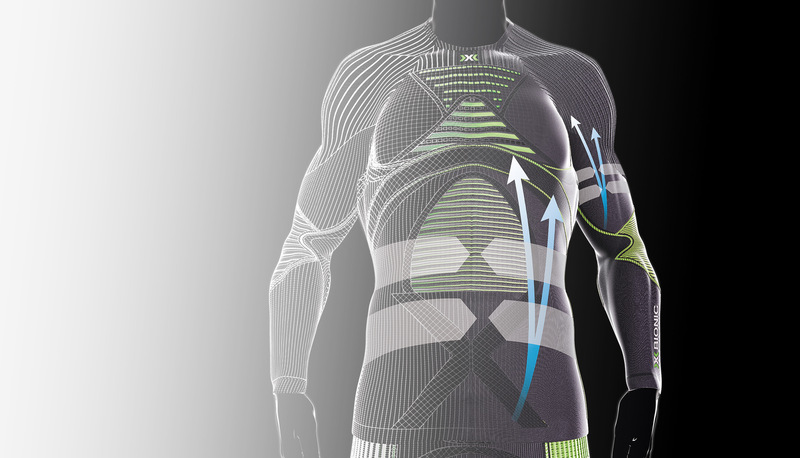 The X-Impact Technology stabilises muscles from the outset. You save energy resources. The ideal situation for high performance. The X-Impact Technology has a stabilising effect on the blood vessels. Support of the blood vessels reduces the load on the cardiovascular system and improves the delivery of oxygen and nutrients. Muscles and organs are supplied more rapidly with performance-enhancing oxygen and nutrients thanks to the more rapid recirculation of blood back through the heart.